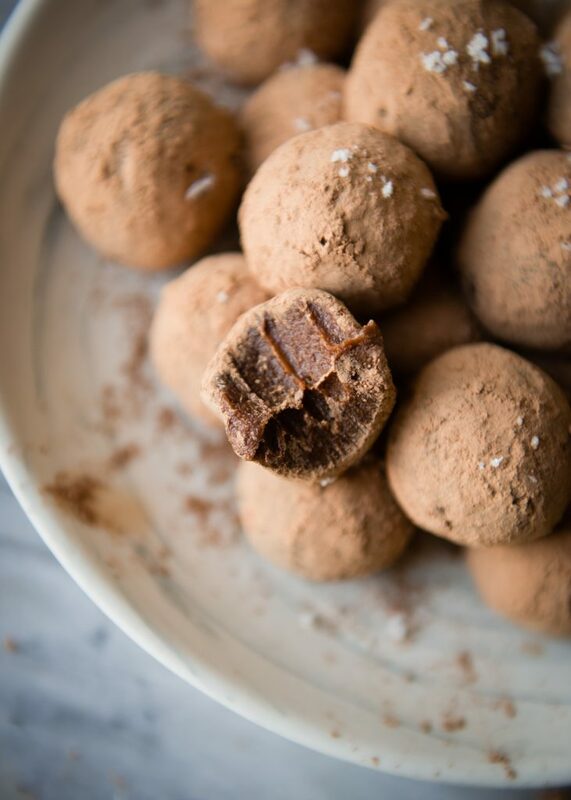 Let’s cut to the chase and talk about these Healthy Sea Salt Caramel Chocolate Truffles because I can’t stop gushing about them. Chocolate is one of my favorite health foods, naturally. And in order to be as healthy as I can, I include as much chocolate as I can (wink, wink). And no one is going to change my mind. The darker the chocolate, the better, as far as I’m concerned. 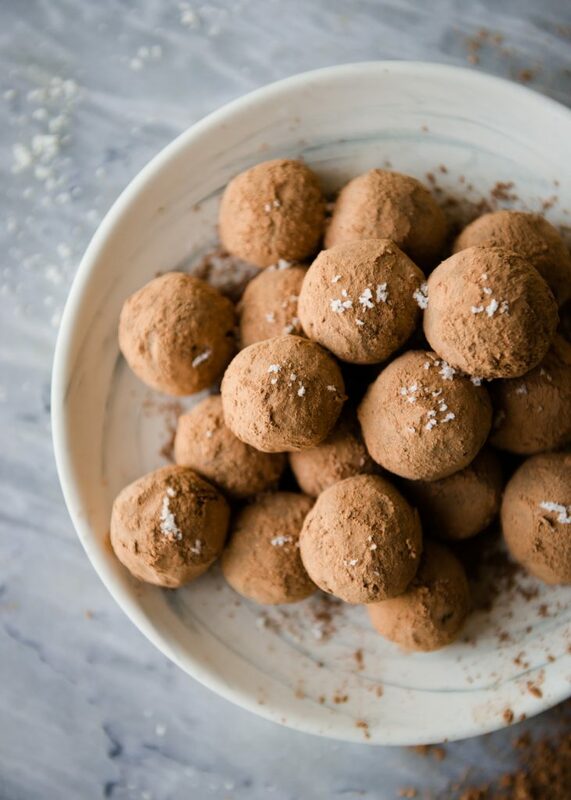 I’ve used raw cacao powder in these truffles because cacao powder contains vitamins and antioxidants, flavonols, monounsaturated fats, minerals, fiber, and even protein! While cocoa powder can be used interchangeably with cacao, it does lose some nutrients during processing, which is why I prefer cacao. I have a crush on sea salt caramel. Caramel and chocolate together are my weakness. I cannot say no. Luckily, I don’t have to pass up one of these sweet little caramel-y truffles. 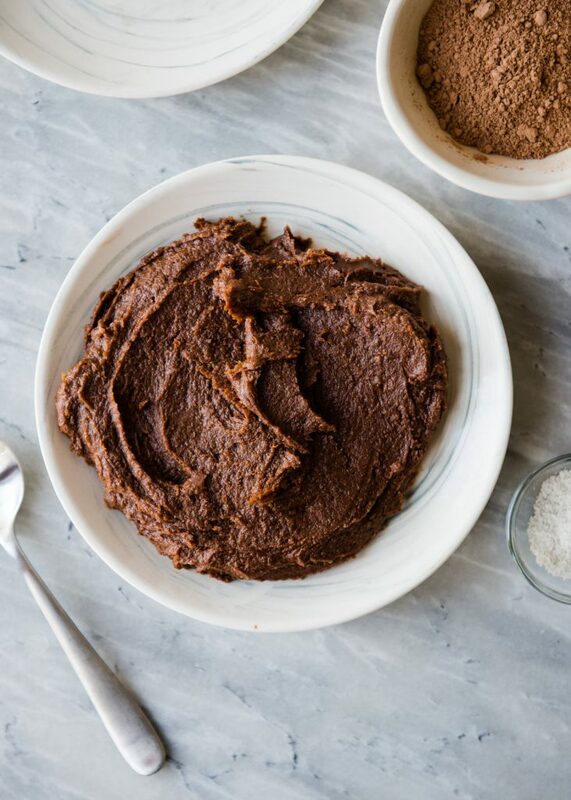 I can make a batch using healthy, whole food ingredients, and keep them in the fridge for a sweet treat whenever I need a little pick-me-up. Oh, and that caramel? 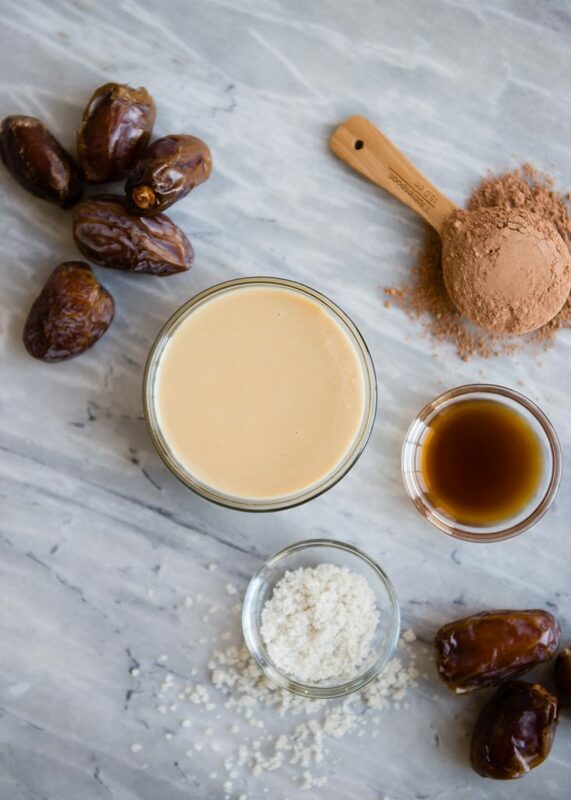 It’s nothing more than dates with a little tahini. Because I’ve really tried to cut out all refined sugar, it makes treat time a little challenging. 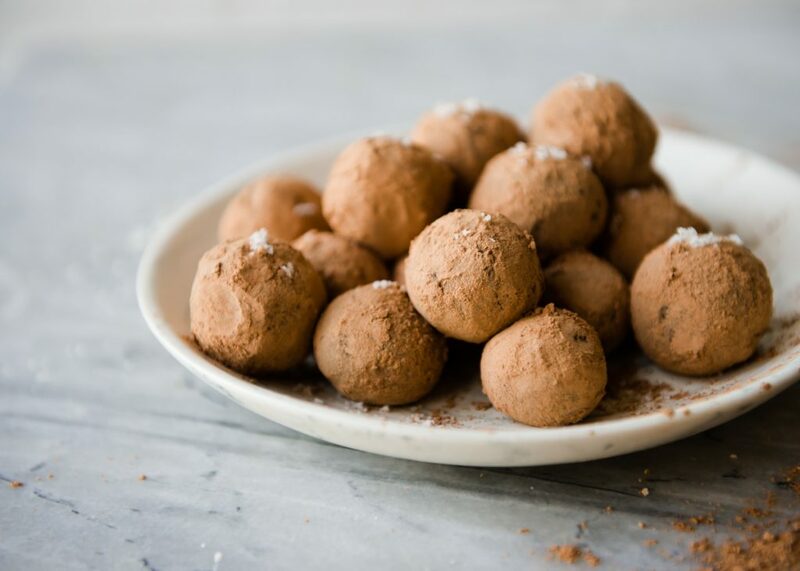 Making these truffles at home is easy and they taste great, and I don’t have to worry about any crazy preservatives or additives. Years ago I saw a recipe for Tahini-Date Sea Salt Caramels on The Kitchn and that combination has been a favorite ever since. 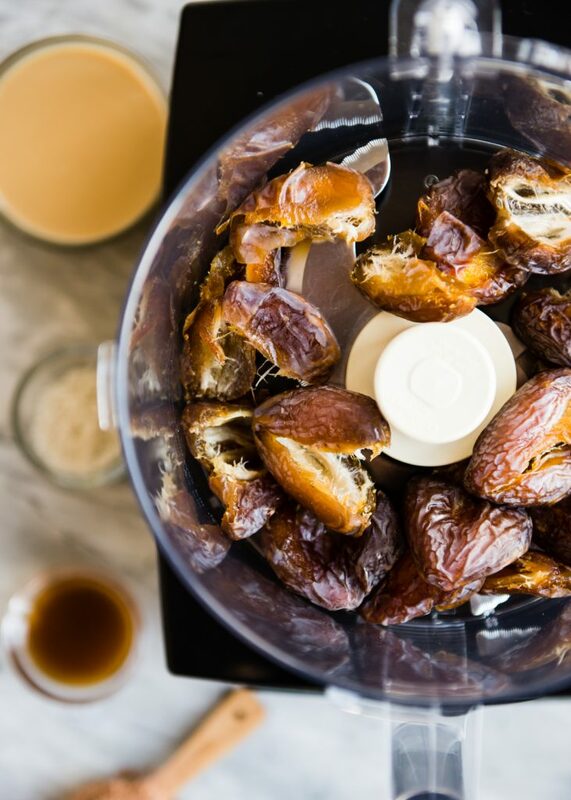 Something magical happens when dates and tahini are combined. Dates are awfully sweet, sticky, and fruity. (Clearly, I love them.) 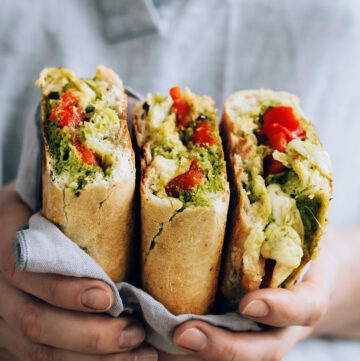 Tahini is that paste or butter made from sesame seeds that makes your hummus and just about everything else you put it on irresistibly delicious. 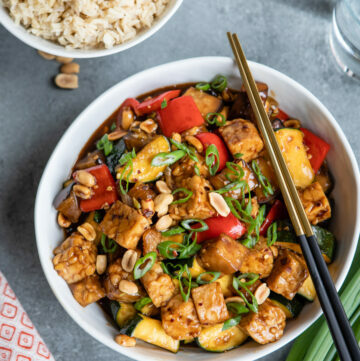 What you may not know is that in a lot of places, tahini totally pulls double duty in sweet applications too. It’s versatile like peanut butter that way. It adds a nice depth, and creamy butteriness to the “caramel” without overpowering it. I always use medjool dates because they are so soft and sticky. You can use other varieties, but be sure to use dates that are soft and pliable. If they’ve dried out, they’ll need to be soaked first to soften, and the extra moisture from soaking may affect the thickness of the truffles. 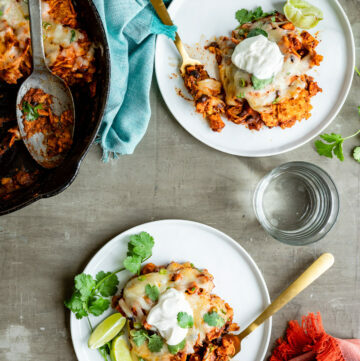 A food processor is the tool of choice here. A blender could potentially work, but it would be very difficult to scrape the mixture from the jar. The truffle mixture becomes very smooth after processing. 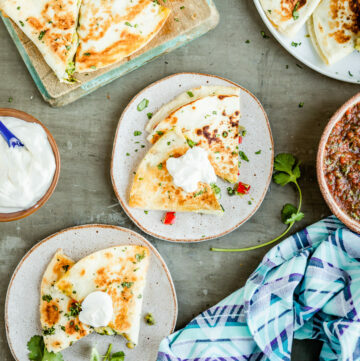 It may take a few minutes, and you may have to stop and scrape down the bowl a few times. But don’t stop until the mixture is thick and creamy. The last little garnish is an extra sprinkle of coarse sea salt. They are sheerly wonderful: sweet and caramel-y, chocolate-y, chewy, with a hint of sea salt. 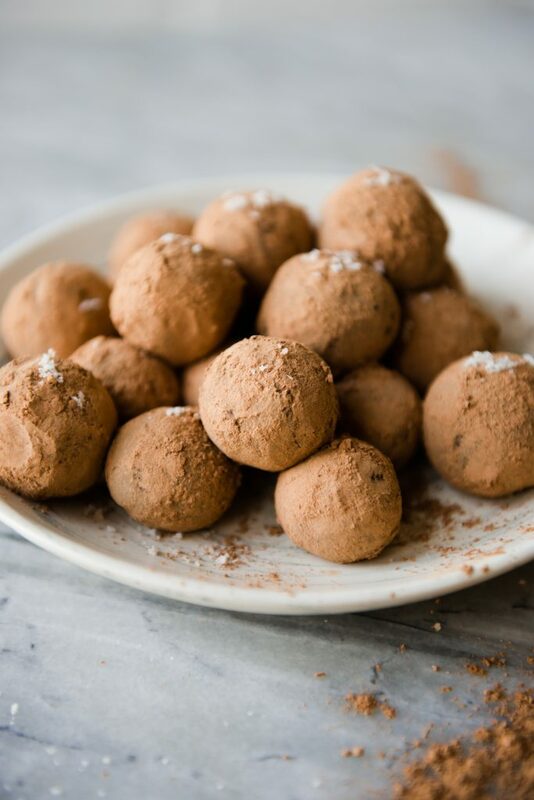 Chewy, caramel-y with a hint of sea salt, these chocolate truffles will satisfy any craving...and they are healthy to boot! 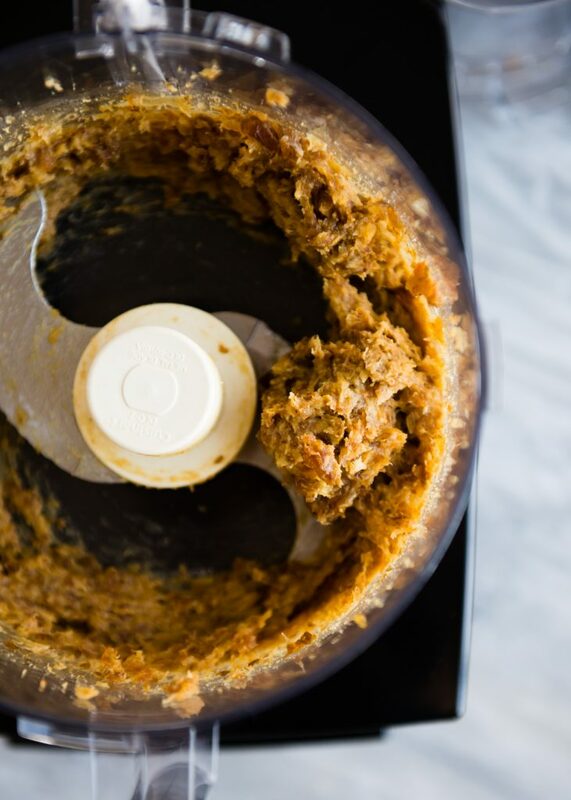 Place the dates into the bowl of a food processor fitted with the chopping blade. Pulse a few times to break up the dates. 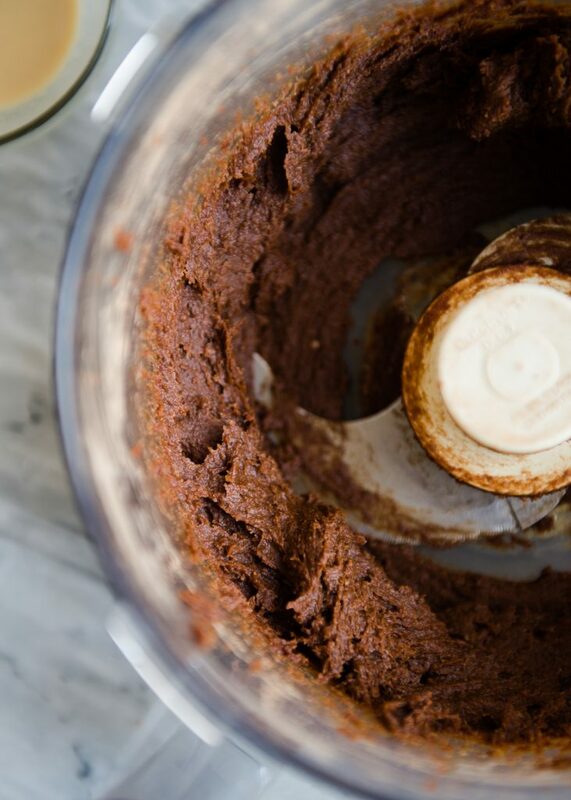 Add the tahini, 3 tablespoons cacao powder, vanilla, and sea salt. Process until smooth. Stop and scrape down sides of bowl as needed. The mixture will be a little sticky, but should be thick and smooth. If there are any lumps, scrape down sides of bowl, and process again. Transfer the mixture to a bowl or plate. 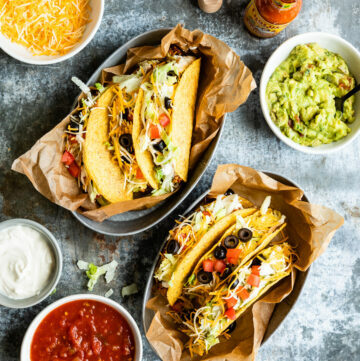 Cover and refrigerate or freeze until firm enough to roll. 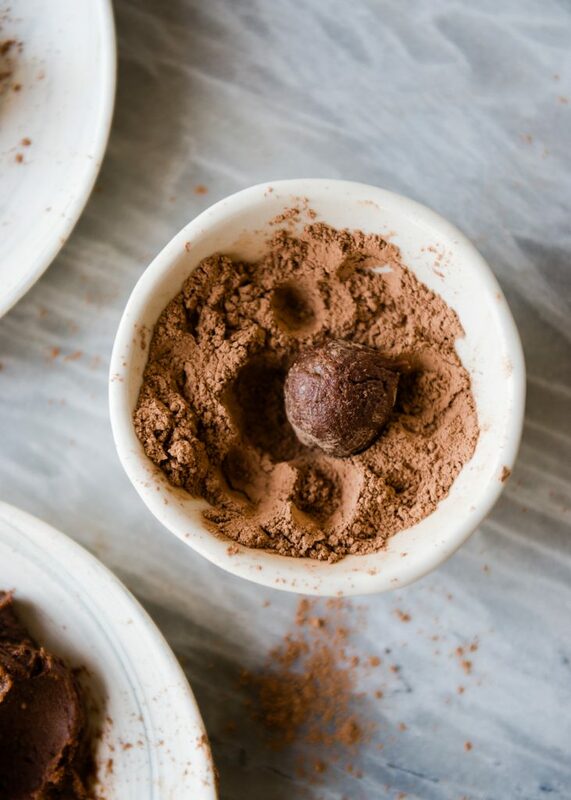 Form the mixture into truffles that are roughly the size of a large marble. 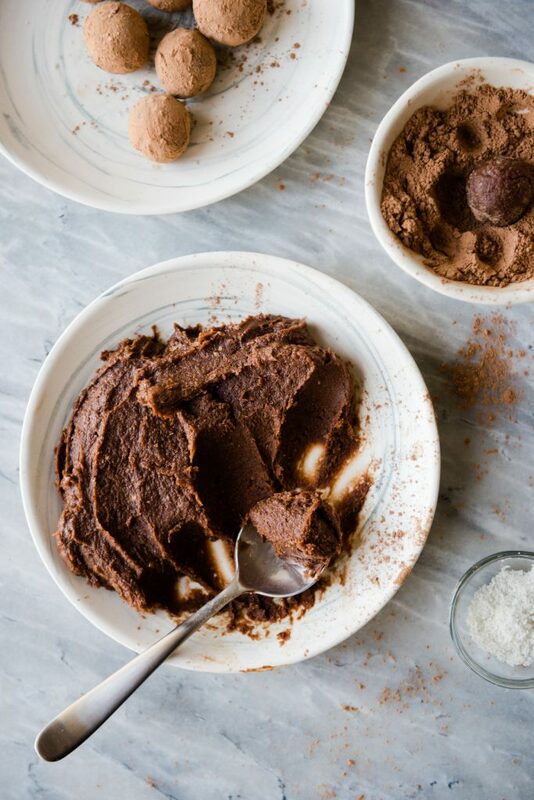 Roll the truffles cacao powder. 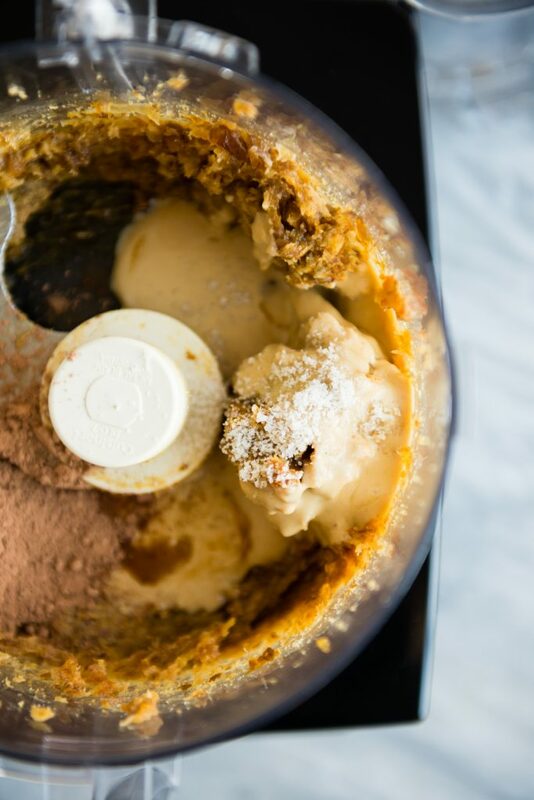 (If the mixture becomes too warm or sticky while you're working with it, place it in freezer again for 15-20 minutes.) 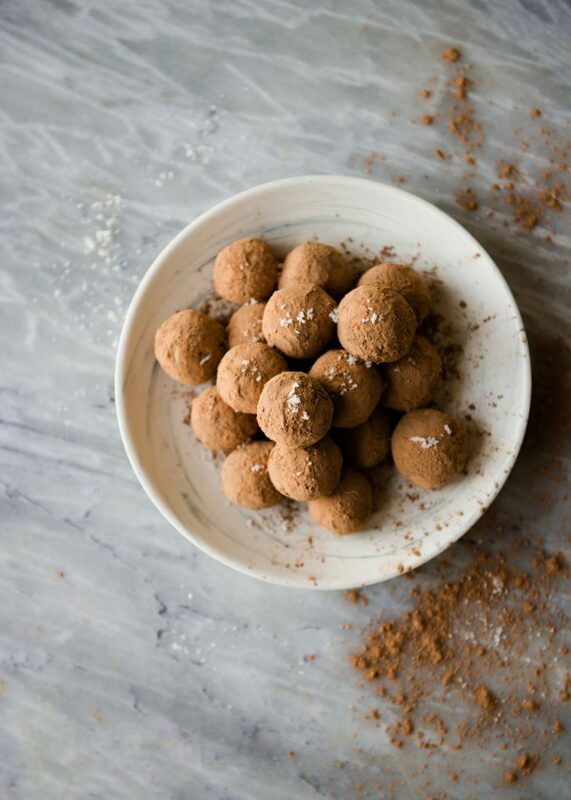 Store the finished truffles in an airtight container, preferably in the fridge or freezer. Will keep for 1-2 weeks refrigerated, or several months frozen.